Dijouliana’s birthday is October 2009. 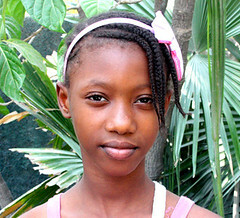 She lives at La Maison orphanage with her older sister Nathanaelle and younger brother Valdivio. 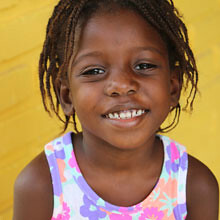 She is very intelligent and is the first one to raise her hand in the preschool at the orphanage. 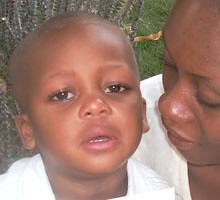 Jahiko is just 3 years old and started preschool. We are always thrilled to have an opportunity to give a child a great start in life! Jahiko loves to draw. His mother says she hopes he'll want to become a doctor some day but that at this point she has no idea. 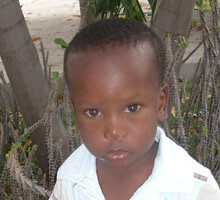 Jahiko enjoys soccer and loves to eat. There is not a food so far that Jahiko will turn down! Getson just turned 6 years old. In school he loves books and learning to read. He says that he would like to become a doctor some day, "So I can give shots." When not in school, Getson likes to play soccer with his friends. Getson lists his greatest blessings as: "life on earth, my mom, my dad, the church, my friends, and playing." He hopes that somebody will help pay for his school so that he can learn and eventually become self-sufficient so that he can help others, too. Bonjou! I'm Dave! My birthday is Dec 30, 2009. I am very excited to be in school. I live in St Marc and am one of 4 children. I might like to be a doctor one day because I like to help people but I also dreams of becoming an artist. I love to play soccer. I am a sweet boy and not nearly so angry as I look in this photo! Roubens is 14 years old. His birthday is August 10th. 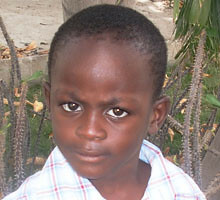 Several of his cousins are also in the Haitian Roots program. He enjoys studying math and grammar in school but wants to become a doctor someday so that he will be able to take care of the sick. When he is not in school he likes to study or play basketball. He likes the colors blue and red. Rose is 11 years old. Her birthday is October 16th. She lives with her parents and two siblings (who are also in the program). Rose is a very good student. Her favorite subjects in school are biology, physics, English, and Spanish. She is not sure what she wants to do when she grows up. She likes nursing because she likes to help people but she is also interested in engineering. Rose enjoys sports--volleyball, basketball, and soccer. The five things she is most grateful for are: "church, school, my mom, my dad, and all of my other family". If she could have one wish it would be that she could have a real profession some day in the medical field, in engineering or perhaps as a professor. Rivaldo will turn 13 years old on May 14th. He lives with his single mother who is unemployed. 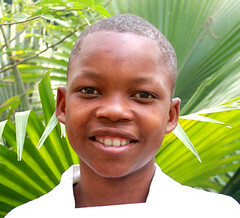 Rivaldo enjoys attending school and his favorite subject is math. His dream is to become a professional soccer player because playing soccer is the thing he likes to do most of all in life. When he's not at school or playing soccer, Rivaldo is studying. His favorite foods are rice, corn, and spaghetti. 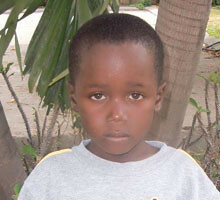 Rivaldo is a tender boy and a bit shy, but warms up quickly and then enjoys joking around. If he could have any wish it would be that he could watch movies. Ralph is 9 years old and his birthday is May 2nd. His favorite subject in school is Math. He said that he would like to learn the engineering trade for work when he grows up so that he can have a valuable skill and good job. When he's not in school he loves to read other books that are not school-related. 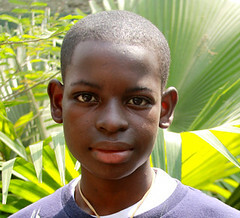 Ralph says that the things he is most grateful are: God, his sponsor, school, and food. His wish would be to one day have a car. Richemon is the younger brother of Carli Aston. 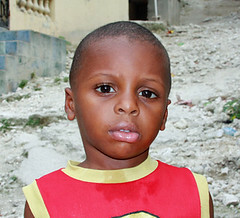 He is 3 years old and hopes to be able to start school on time this fall, as children are supposed to enter school at age 3 in Haiti. Richemon typically smiles a lot--he is just not sure he wants to do that with a camera in front of him. 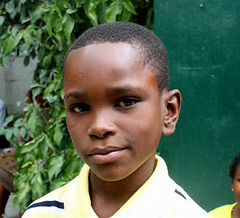 Richemon is the middle of 2 boys but has no problem letting himself be heard. His parents are very good people who try so hard to support their children, but struggle every day. They value education and know that it is their son's hope for the future.